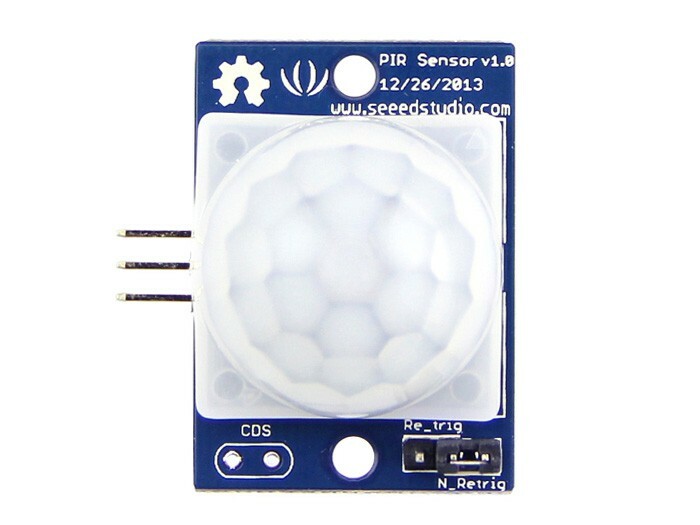 PIR?Passive Infrared Detection?are used to detect motion of human movement. This version has a large lens which can support long range and wide angle. 2.54mm standard connector is easy to fix it anywhere. 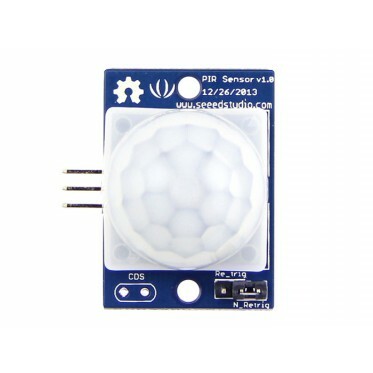 Features: Long range Wide angle Low consumption DC 3.0-5.5V power supplier Specifications Input Voltage: DC3.0-5.5V Current: 100uA(max) Output signal: 0,VCC (Output high when motion detected) Sentry Angle: 120° Connector:3Pin 2.54mm pitch Size? 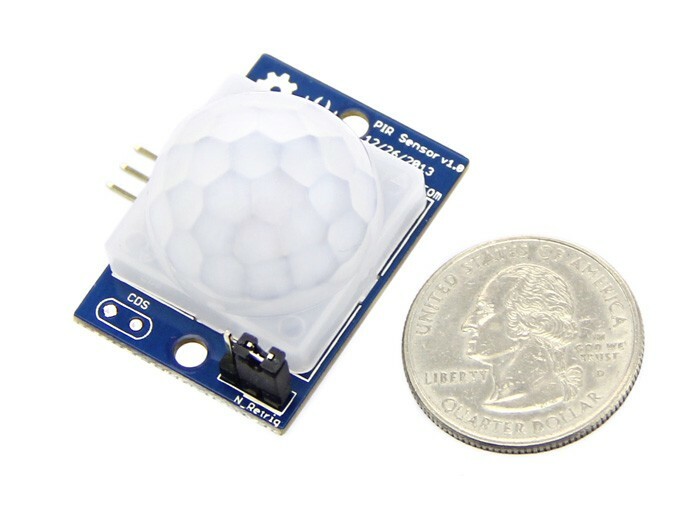 L36*W26*H21(mm) Documents Please visit our wiki page for more info about this product. It will be appreciated if you can help us improve the documents, add more demo code or tutorials. For technical support, please post your questions to our forum.